SOMETHING DIFFERENTLY-Discover How Hypnosis Can Help! ​Hypnosis is Your Doorway to ​Personal Fulfillment, Ideal Health & Well Being! ​Whether you wish to use Hypnosis to Boost your Confidence, Quit Smoking, for Weight-Loss or Compulsive Food Craving, Improve Sleep, Reduce Stress, increase your emotional/psychical energy level, improve/attract loving relationships - through the clinical procedures of Hypnosis and NLP, you can safely & easily reach long-lasting results. 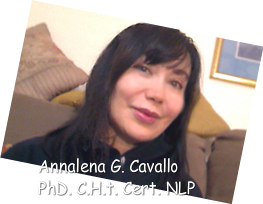 Hypnotherapy can be integrated with NLP and EFT ​to complete and heighten the efficacy! Your questions are important, you can submit them here, or ​you can contact us by email or by phone at ​(503) 939-9886. ​​sessions are short ​but effective and supportive.